As most of us know, relationships can be both beautiful and challenging. People deal with cheating in different ways, but have you ever wondered what an 11-year-old would do in that particular situation? Madi Nickens, a 17-year-old girl from Texas, posted the conversation between her 11-year-old sister and a boy – presumably her crush – named Joey, on Twitter. 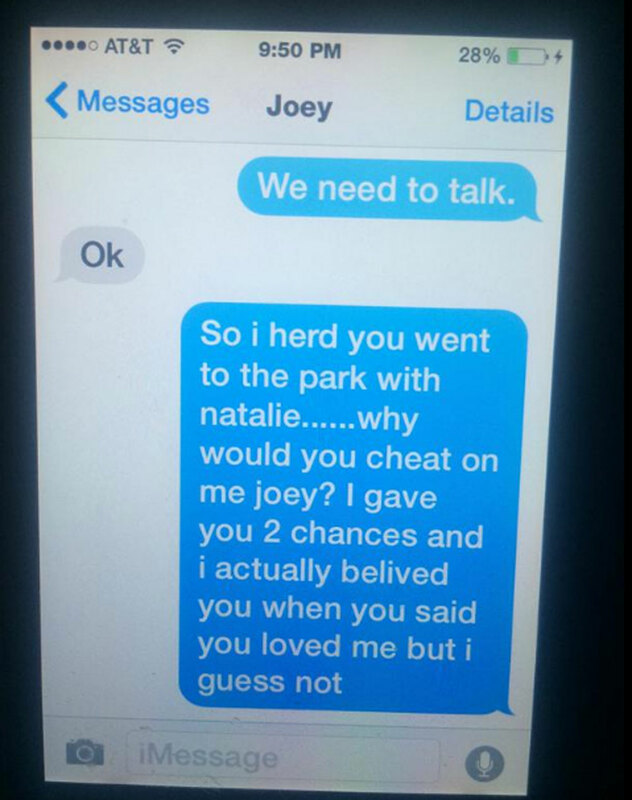 In the first text, the girl confronted Joey – the soon-to-be-ex boyfriend – about his ‘crime’. She gave him two chances, but he still went to the park with Natalie. How dare you, Joey?! Joey was confident she loved him a little bit, considering she bought him a Starbucks drink. But he was wrong, so wrong. Ding ding ding! The elevator’s here. Bye, Joey! Thank you for giving us life, the 11-year-old girl from Texas.